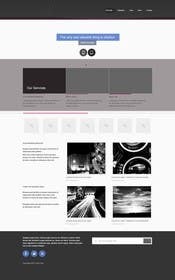 Redesign a website completely with a Corporate look! 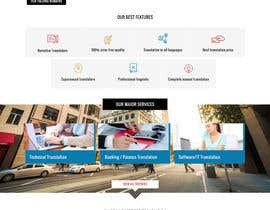 I need our website [login to view URL] to be completely redesigned. Please show demo of the "Home Page" first! Once the Home page is okay, you can move to designing rest of the pages one by one. 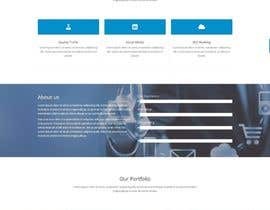 Looking for a freelancer with excellent knowledge in building a SEO friendly website. As mentioned above, You can show the Home Page alone first, then you can continue with the rest of pages one by one...! 1. A more decent, professional logo with a Corporate look. 3. 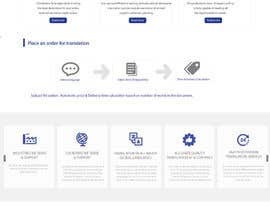 A simple form to "Place an order for translation" with Upload file option & Automatic price & Delivery time calculation based on number of words in the document. 4. Our Toll-Free number & E-mail id should be displayed in an effective manner. 4. 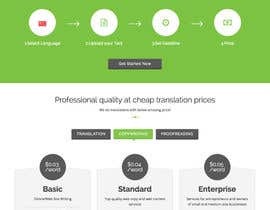 A form to "Place an order for translation" with Upload file option & Automatic price & Delivery time calculation based on number of words in the document. Kindly submit the demo of the Home Page with our existing website contents. 130$ only the home page? I have seen your site. I can build the whole site with all functionalities within your budget. Do you have any specific framework/CMS requirements? If not I'll post a full working demo site with demo admin dashboard within two days. Please let me know.. I read your project details and i am relay interested in your project. But how many pages you require in $130 ? Hi.. there are totally 16 pages to be designed as per the Job Description.. I've just updated the page numbers in the Job Description now... please check it out once again. 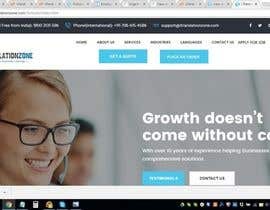 You can first design the Home Page as per the Job Description & show me image of layout and if the layout is good then u can design the other pages one by one and show me the Demos. 16 pages..& those are PSD only..no html? I've modified the entire job Description now...Number of pages have been reduced! I'm ready to purchase a theme and give you. Kindly see the updated Job Description and submit your entries. Working on it sir ! Sure, I will be eager to see the Home Page Demo Soon! okay sir no problem I can make max 7-8 pages in 130$ does it enough for your website ? As mentioned, pls make the home page ready and show me..As long as all the features are included in 7-8 pages, I'm okay with it. 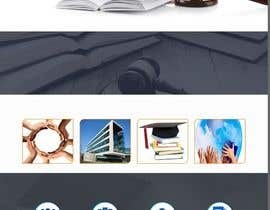 You can show the Home Page alone first, then you can continue with the rest of pages one by one...! Hi, yes.. thanks.. yes... pls let me know if you will be able to provide the result as per the Job Description...! U can show the Home Page alone first, then u can continue with the rest of pages one by one...! My preferred budget is $130! no you do not have to increase prize just tell me is it the total prize for the project or this the price to start the work and choose the freelancer through this contest ? Can u provide the result as expected? If so what is ur expectation? Please let me know... I can increase the price if I'm happy with ur results..!